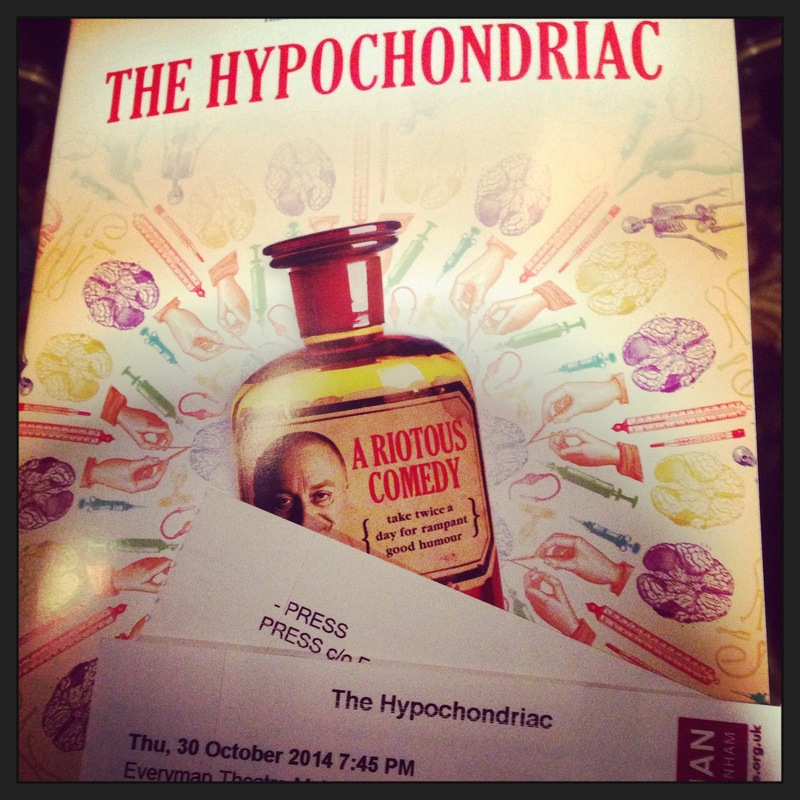 Theatre Royal Bath has produced another masterpiece of comedy by adapting Moliere’s stage production of The Hypochondriac. Directed by Lindsay Posner one of the UKs greatest directors of comedy he has the turned this French production into a funny and up to date performance to not be missed. So for you don’t know the play, it’s about a penny-pinching Argan who is healthy, wealthy and obsessed by imaginary aliments. Completely confused as his wife is trying to fleece him whilst his lovesick daughter, her lover and astute maid attempt to help him. So who better to play this character? The Everyman Theatre is such a beautiful Theatre, do you like performing on stage there? Tony Robinson: I love performing at the Everyman, there are a few jewel theatres in the UK and the Everyman is one of them. I have performed there many times and it’s wonderful to return. How did you find working with Lindsay Posner? Can you see his vision in what he wanted to achieve? Tony Robinson: It’s very exciting to be part of his creativity, but it’s a bit hectic. He is currently working on two productions at one speed. So he is with us during the day before leaving us with the assistant director and going back to London to direct the Hollywood stars. It is a lot of fun. Are you enjoying the role? What is your favourite part of the production? Tony Robinson: Its early days yet and we are discovering the reactions from others, but the best part is the rehearsals for me. Do you relate to any of the characteristics of the character you play? Tony Robinson: What you mean am I a Hypochondriac? (He laughs) yes there is always something within yourself that is a hypochondriac. What is it like doing comedy in front of a live audience compared to behind the camera on a set like Black Adder? Tony Robinson: It is a different quality, you are playing off live action and you develop a relationship with the audience. You start to learn their reactions and it’s a lovely experience. You don’t have that in front of a camera. Tony Robinson: We are touring for 6 weeks and then we will be in the West End. I have just finished filming the 3rd series of Walking Through History and I am excited about a new programme exclusively done for Sky 3D called WW1 in 3D. It was fantastic to talk to Tony Robinson about this wonderful revue that is at the Everyman Theatre. Next Post Earls & Co.